She welcomed her first child Jack with fiance Jason Statham in June last year. And Rosie Huntington-Whiteley revealed she’s happier than ever as a mother as she delivered a passionate talk at the ELLE Weekender event in London’s Saatchi Gallery on Sunday. 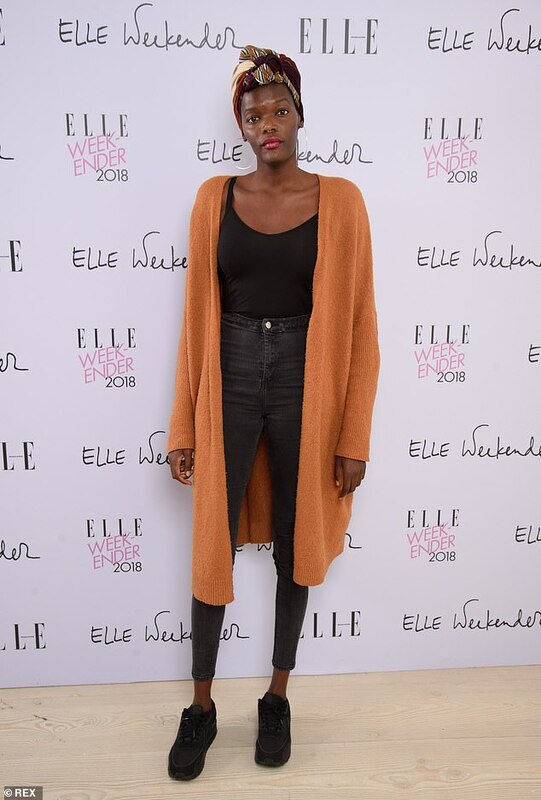 The model, 31, maintained her style savvy ways as she rocked a crisp longline blazer, tied in with bright red skinny trousers. 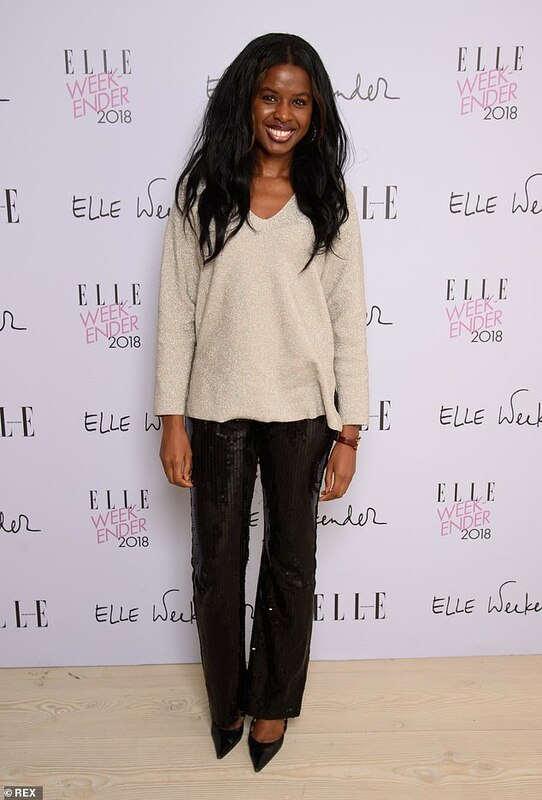 During the discussion, the blonde joined ELLE’s Beauty Director, Sophie Beresiner, as she touched on her life as a mother, her beauty business and suffering from adult acne. 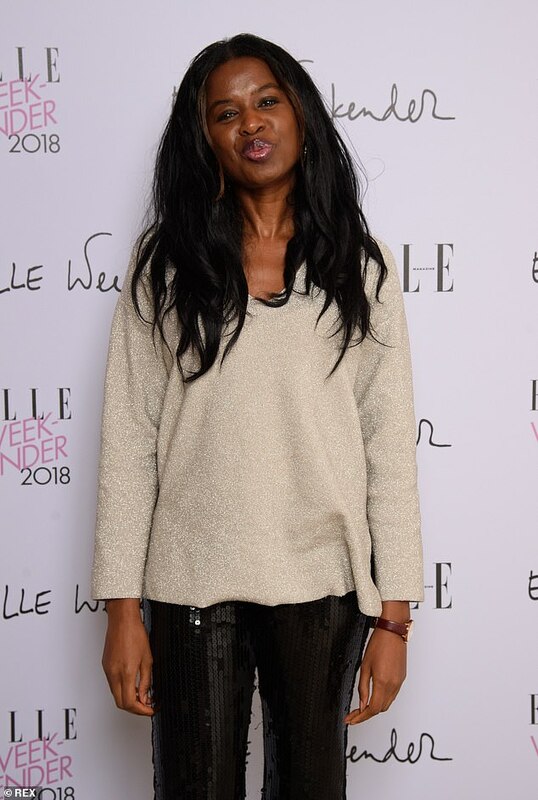 On entering her thirties, the catwalk queen shared: ‘Every year I get older I feel so much more empowered in myself and I feel so much more confident. ‘Turning 30 and becoming a mum has just been so empowering for me. I feel, really clear with what I want out of life. As well as raising son Jason, Rosie and her partner Jason, 51, also offer each other tips on their work. 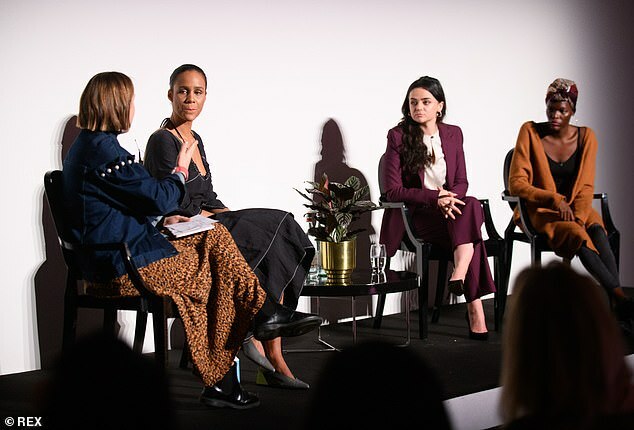 The event, held from Friday to Sunday, featured inspiration talks on fashion, culture and beauty from the industry’s leading names, including fashion designer Diane von Furstenberg, Game Of Thrones’ Maisie Williams and model Leomie Anderson. Showcasing her sartorial flair, Rosie complemented her bold ensemble with an eye-catching white tee, embellished with silver chains throughout. The Transformers actress upped the style ante as she boosted her height in a pair of black and gold strappy heels, and accessorised with bedazzled hooped earrings. Enhancing her out-of-this-world beauty, the blonde sported light strokes of peach-toned make-up and wore her tresses in a poker straight style. Rosie recently revealed she didn’t ‘bounce back’ from pregnancy and she had to work really hard to drop three-and-a-half stone. After spending 15 years as a model, the catwalk stunner confessed she put strain on herself to shed the pounds. Despite struggling to snap back into shape, Rosie revealed her plans to have more children in the future. ‘I do want more kids,’ she said. ‘Jack is running around, he is saying a lot of words and talking baby gibberish, but I understand what he is saying pretty much… It’s a lot of fun. It’s been a busy time for Rosie, having become a mum for the first time as well as setting up her own beauty site. She said of her beauty venture: ‘I think for me my whole career has led me to this place. I’ve had 15 years of being a model and I spend hours and hours in the makeup chair.